The Rio Olympics are only a day away and for those sponsors and brands involved with the event there are huge opportunities to sell merchandise and memorabilia off the back of it. But all year round, clubs and teams across all sports and disciplines are competing to sell their products to provide a vital stream of income for the organisation. When it comes to marketing the retail side of sports teams and organisations, what needs to be considered? As with any marketing campaign, knowing the end goal is paramount. Setting clear objectives at the start will help to focus ideas, creativity and the final result. The objective shouldn’t just be ‘create a brochure/website/assets to use online’ – it needs to look beyond that. Sports brands aren’t simply selling ‘things’ with their logos on – they’re selling a lifestyle and a symbol of their fans’ loyalty, support and passion. Working closely with Kitbag – Europe’s leading online sports retailer which is licensed by some of the biggest clubs in the world to sell their products – we’ve learnt that no two briefs will ever be the same, even if you’re working on projects for the same club or team. 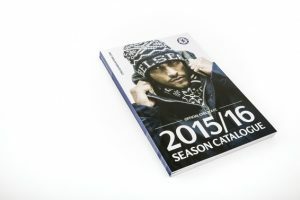 For example, working with Kitbag on a recent catalogue for Chelsea FC, the focus was predominantly on fashion. We needed to engage with consumers on an aspirational level, emphasising the quality, look and feel of the clothing to make them proud to wear not only their club’s colours and logo but also the garments themselves. Other briefs, however may want to concentrate more specifically on the kit, the club, individual players or launching a rebrand. Following on from understanding the end goal, the team leading the creative needs to have a thorough understanding of the organisation’s brand and personality. By getting under the skin of the club or team, its history, people, supporters and future, you can shape a campaign that truly reflects the true soul and nature of the organisation you’re promoting. And, while there are some traits of sports teams and clubs that may first spring to mind – ambitious, disciplined, competitive and confident – that’s not to say some aren’t without their lighter sides. 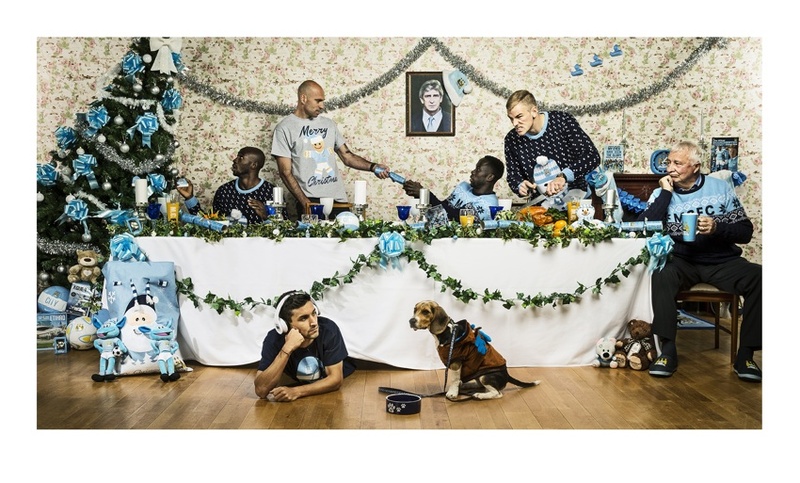 For example, working with Kitbag and Manchester City Football Club’s Christmas campaign last year, we built and staged a typical Manchester family Christmas meal for the players, wearing festive jumpers. The results were humorous, fun and relaxed – something we wouldn’t have been able to create and achieve if it weren’t for our full understanding the many different faces of the club. Often sports stars and personalities are used to help promote a club or team’s merchandise – after all, who else is better placed to show off a sports organisation’s products? But just as it’s vital to understand the club or team brand, so too is it to understand the individuals you are working with and to get the balance right between the two. Not only does getting to know the characteristics of the individual sports people help to position the artistic direction, tone and content of a marketing campaign, but it also helps creative teams work well with each person. 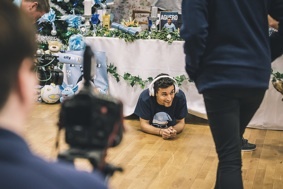 Behind the camera and under spot lights isn’t necessarily where sports people feel most comfortable, so anything the creative team can do to make them feel more at home will help to get the most out of any photo shoot. Once the right balance of personality and brand has been achieved between the sports organisation and the individuals helping to promote its merchandise, this combined personality needs to shine through and be consistent across all marketing channels – be that website, social media, brochures or photography. Just as sports people need to put in hours, weeks and months of training in order to prepare for an event, match or race, so too do creative teams. 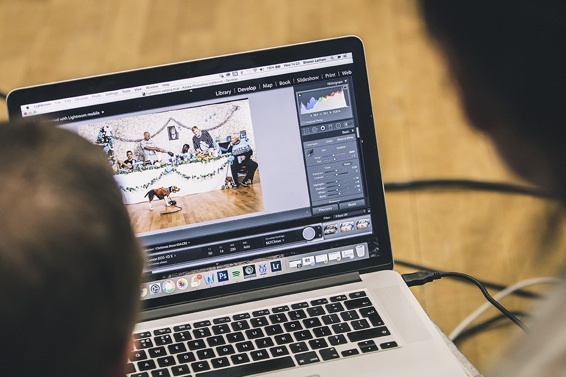 When it comes to creating assets for marketing campaigns – for example, photography – the environment can be extremely fast paced. Capturing action shots at just the right moment doesn’t allow for a lot of thinking time, which is why creative teams must spend time planning ahead of a shoot. It can take days, if not weeks, of organising and preparation ahead of a photo shoot to get things right. Often, they can take place outdoors at sports clubs’ own facilities. These locations need to be visited several times, with everything from storyboards to lighting considered and mapped out beforehand. What’s more, you can find yourself battling with the elements so this needs to be considered – do you have a contingency plan if the weather takes a turn for the worse? Or can you plan the shoot to take advantage of different conditions, rain or shine? And it’s not only on-location shoots that need to be considered – any work being carried out in a studio has to be prepared for in order to use resources effectively and ensure all work is on brand, on time and in budget. Promoting sports organisations’ retail items poses a unique set of challenges for marketing teams, but also exciting opportunities. From setting out clear objectives and gaining a full understanding of the brand, to careful planning and scheduling of creative work, marketing teams can set themselves up to achieve effective, impactful and original campaigns. Thorough research and planning, combined with a true understanding of the personality of the organisation and its people, are fundamental when promoting not only products and merchandise, but the team as well to those who help to keep the passion and spirit of the team or club alive – its supporters and fans.